This entry was posted in Skip Allen & Painter 12 and tagged Brush making, Corel Painter 12 Brush Making Class, Corel Painter 12 Class, Corel Painter 12 Watercolor Class, Digital Art Academy, Elaina Moore-Kelly, Skip Allen and Painter 12, Watercolor. Bookmark the permalink. Good luck with all of the current classes. Good luck with the surgeries. I know Santa quite well; I’m sure the Intuos 4 is on the gift list. To bad Painter isn’t on the iPhone, well, a full version that is. I did download the one that is available…cute. Everyone…if you want to see some amazing iPhone work, click on Valerie’s link above. I am stunned at what she can do on that little tiny screen. The link to plain http://owler.com might be useful to some people though. 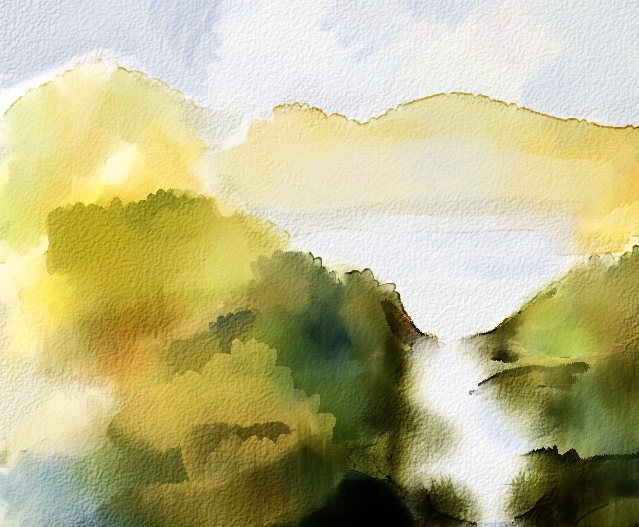 My owler.com site has what I think is a complete set of samplers of the Painter 11 and 12 brushes – well, the defaults. I made it for my own reference, but it took quite a bit of time and trouble so I thought I would see if it could be useful to others. It was only laid down ‘by rote’ though, without my understanding much about how the brushes were made or adapted. I’m looking forward to learning more from the virtuoso! Sorry about that. I didn’t check the link, it looked familiar and I thought it was the iPhone stuff. I do love your lists of brushes and I’m sure others would, too. I can’t believe you took the time to do that.